Safe, easy and panoramic walking paths will guide you through Piran, Portorož, Lucija, Seča, Strunjan and their hinterland. You can relax and fill up with energy in nearby intact nature and cultural Istrian landscape. 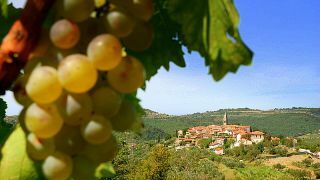 Visit also the most hidden places and discover the characteristics of Istrian landscape in interesting study paths and regional parks with a guide. Is your taste exotic? Discover truffle hunting! Enjoy views of Croatian Istria and north Italian coast, but also Slovenian Alps and Carst edge. The footpath from Piran to Fiesa will be closed until further notice due to the restoration of the cliff. Lingering on the foothpath is dangerous due to crumbling rocks. Enjoy marvellous views of the eternal town. You can rely on our professionals! We selected the best offers and experiences in Portorož, Piran with their surroundings. Download the free guide with bike trails, hiking ideas and horse-riding tours of different difficulty levels and for every taste. 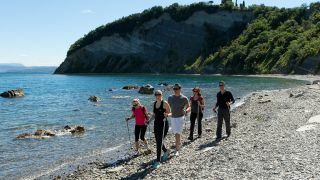 Discover beauties of Slovenian Istria in an active way! Enjoy marvellous views on every step you take.